MyOilMarketing is a information and technology firm dedicated to providing communication tools for those building a business with Young Living® Essential Oils. At the cornerstone of all growing businesses is a website. Select a MyOilSite option, and add other MyOil products that help you share about Young Living® products. We pride ourselves on delivering a turn-key experience. From setting up your personal website, enabling modules, adding blogs or personalizing graphics, we make it simple. A clean, modern website. Ready in minutes! Our sites offer different colors, predesigned pages, and can be easily expanded to add new pages and content. 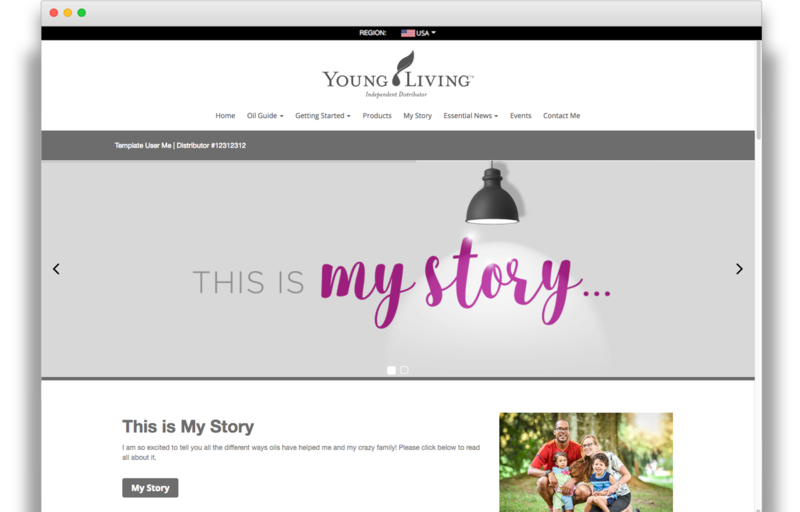 We offer automated integrations with Young Living blogs and our Blogs (created by MyOilBloggers). You can also create your own blog posts. With this package, you will have exclusive access to custom Young Living® product images with your personal contact info on them. MyOilEmail provides a drip campaign solution to keep in touch with your viewers through forms, newsletters and free downloadables.